6 days, 6 fresh all-new 2014 Mercedes-Benz Sprinters, and 1 rainy week in an absurdly friendly city named Halifax, Canada = all most of the images you see below. I was the lucky chosen one to shoot the 2014 Mercedes-Benz Sprinter lineup for North America, more specifically Mercedes-Benz Canada… in the most friendly Canadian city there is. Besides some of the best seafood I’ve ever eaten, this city packs some of the most picturesque places I’ve ever visited, and did I mention the people here are friendly??? The stereotypes about Canada are true! The Sprinter van is a highly diverse vehicle appealing to flower shop owners, to down-n-dirty construction workers. 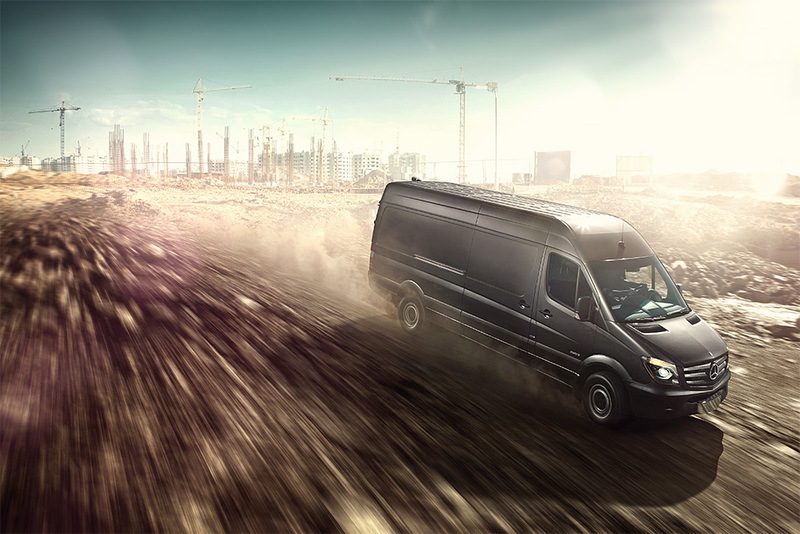 Mercedes-Benz wanted a “darker, grittier, real-world” campaign to accommodate their newly redesigned van. To my ears, that meant on-location shooting with diverse scenarios. This also meant an extra element that’s relatively uncommon in the world of commercial automotive photography; people. The van of course is the main subject of the photos, but as a working van, it is crucial to also have the human element. Basically the images are, and will be used for anything and everything Mercedes-Benz Canada, and North America please… this includes brochures, iPad apps, advertisements, websites, you name it. 10hr days were followed by 12hr days, then soon followed by 14hr days, but by the end of the week, beer had never tasted sweeter. Easily one of the most back-breaking weeks of my career, but at the same time 100x more rewarding. A big thanks to my friends at Mercedes-Benz Canada and The Cargo Agency for piecing this monumental puzzle together, and ultimately putting me behind the camera to produce these diverse images. Also my Toronto buddy Ste Ho for assisting literally day and night. And let me tell you, you haven’t tasted syrup until you’ve had the local garage-made maple syrup. Slap yo mamma that brown nectar is good!! !